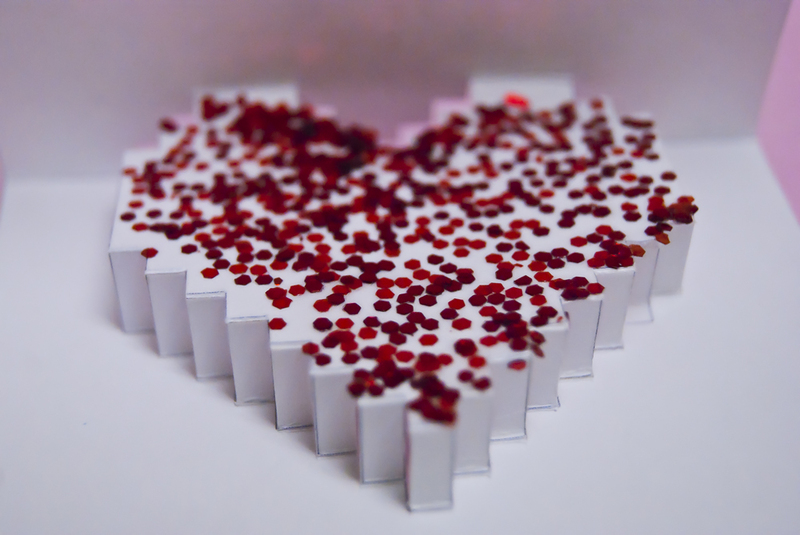 With Valentine’s Day right around the corner, we are taking advantage of all of the great DIY’s ideas out there! 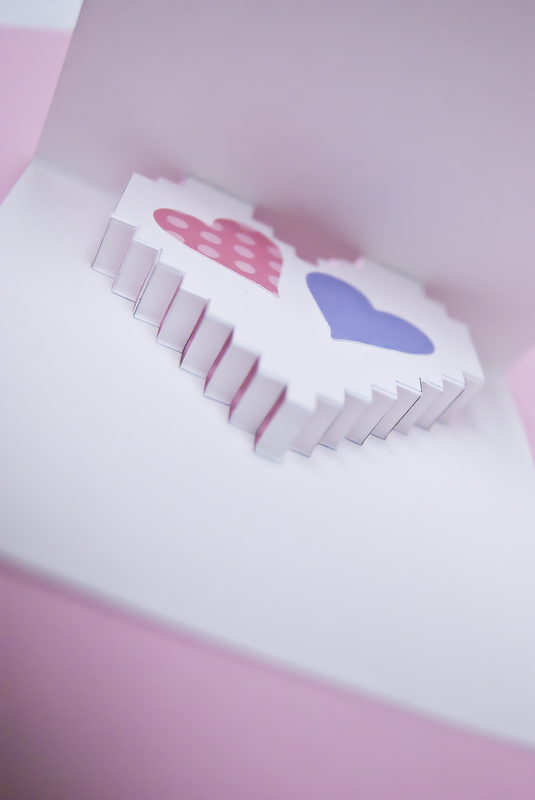 This week’s DIY, the SUPER EASY Valentine pop-up card comes to us from MinieCo.UK. It requires very little in the way of supplies and there is very little out of pocket cost involved, so it is perfect for us! 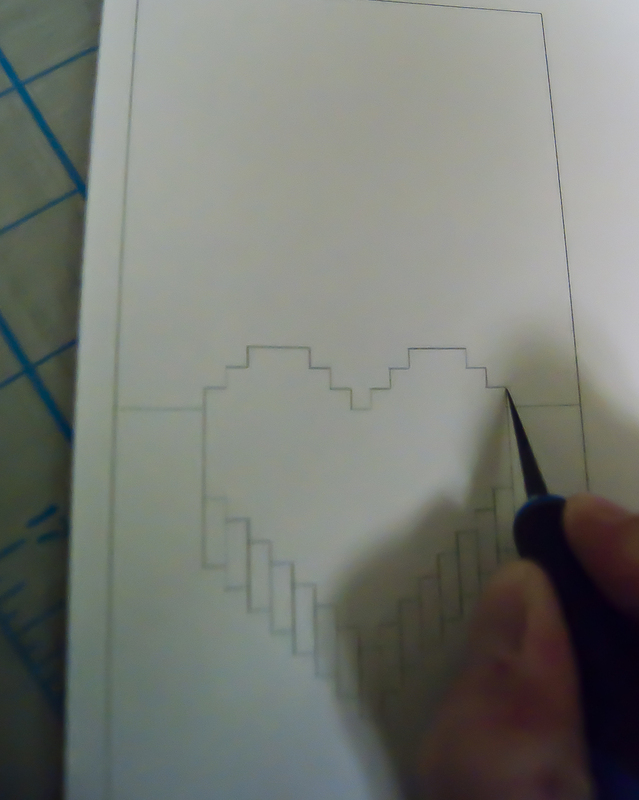 It only takes about a half hour to make too, so for all of us who have busy social lives, this is fab. 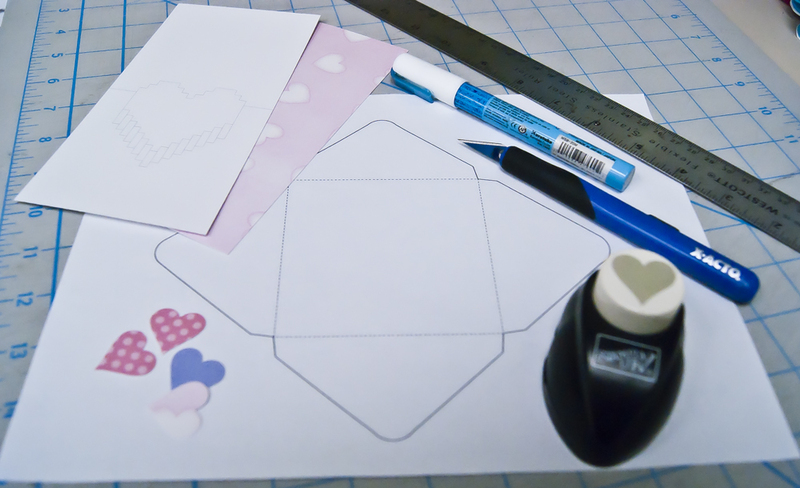 Print the card template onto the cardstock and the envelope onto the plain paper. 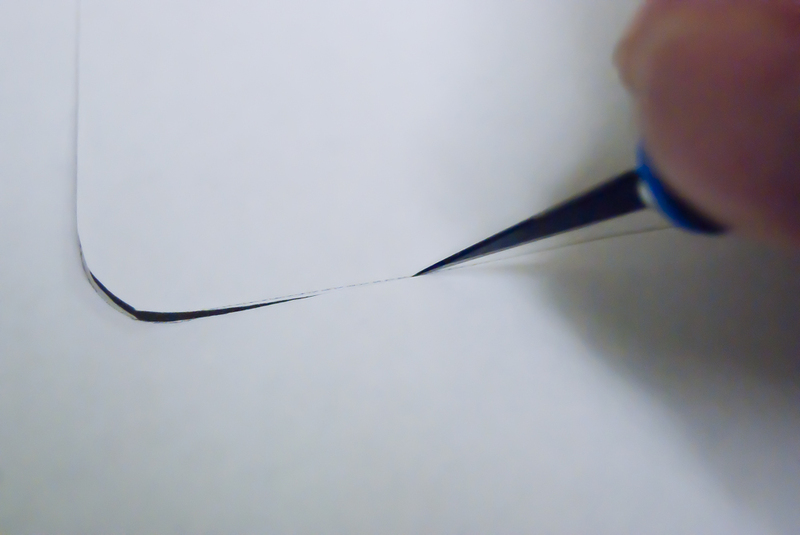 Starting with the card, you will need to score the horizontal lines as shone – scoring is LIGHTLY running your blade over the line in order to make it easier to fold. 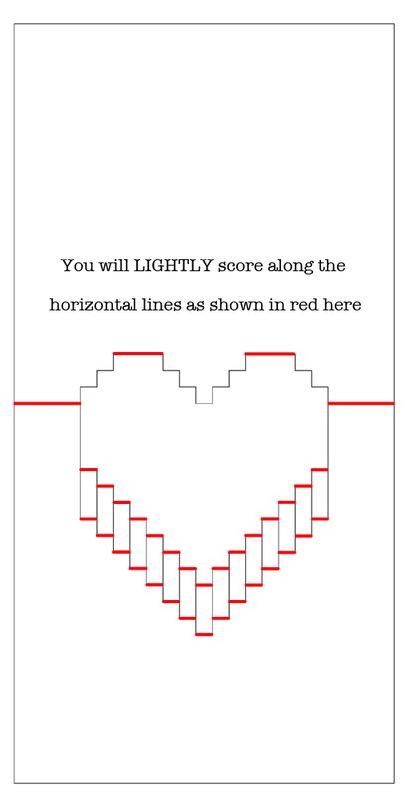 You will cut the vertical lines and the horizontal lines at the top of the card, with the exception of the top two horizontal lines which you have already scored. 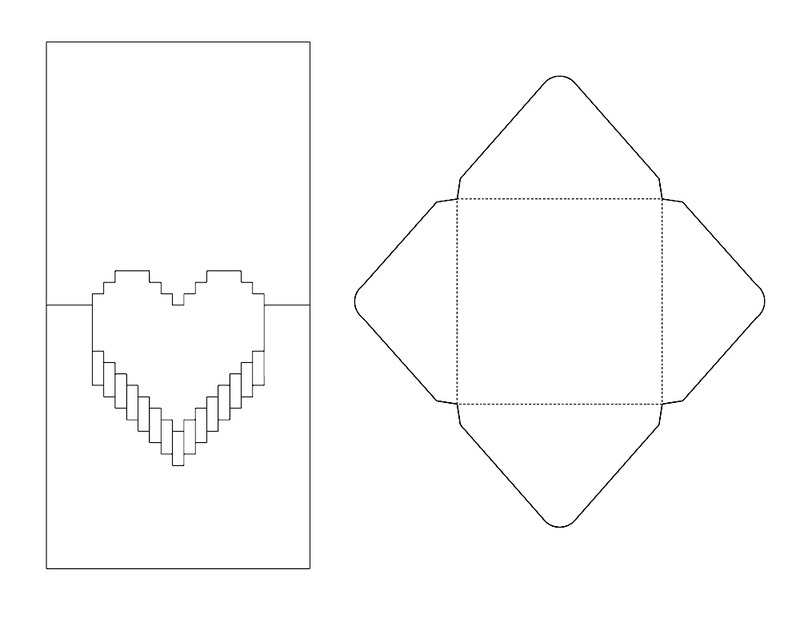 Now, carefully fold your card along the scored lines. Voila! 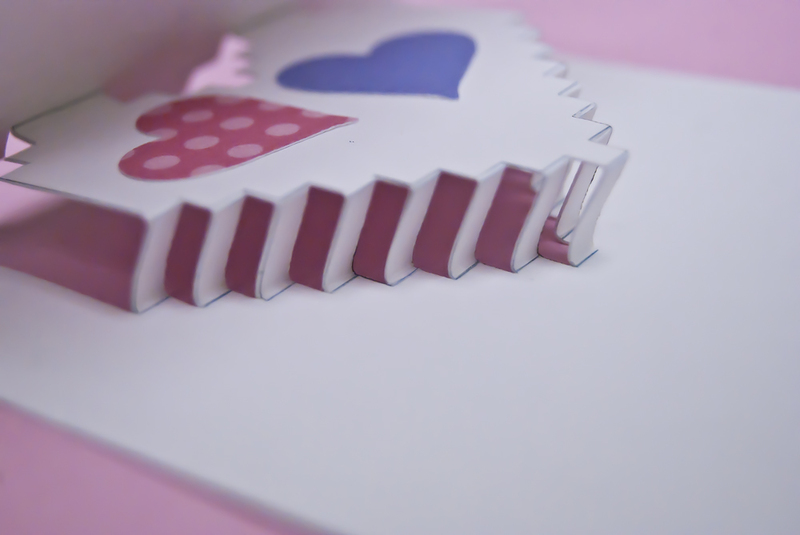 You have a cool pop-up card! 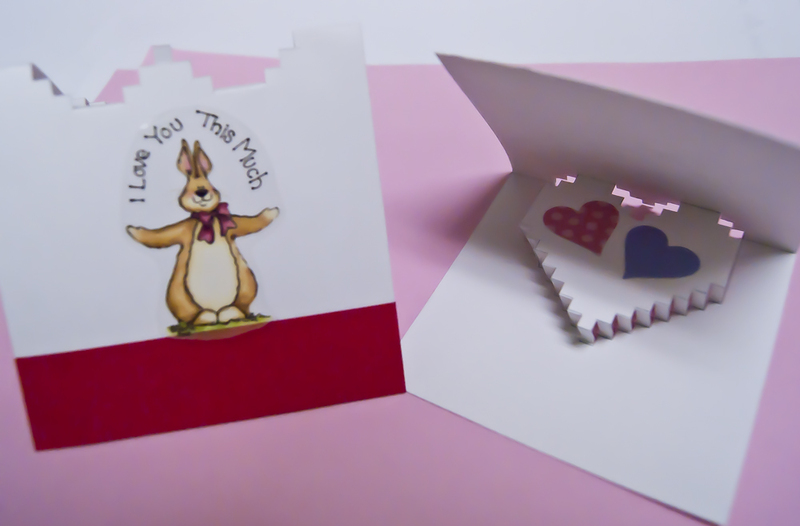 You can embellish with hearts cut with the heart die cutter, or with stickers, glitter, whatever your heart desires! 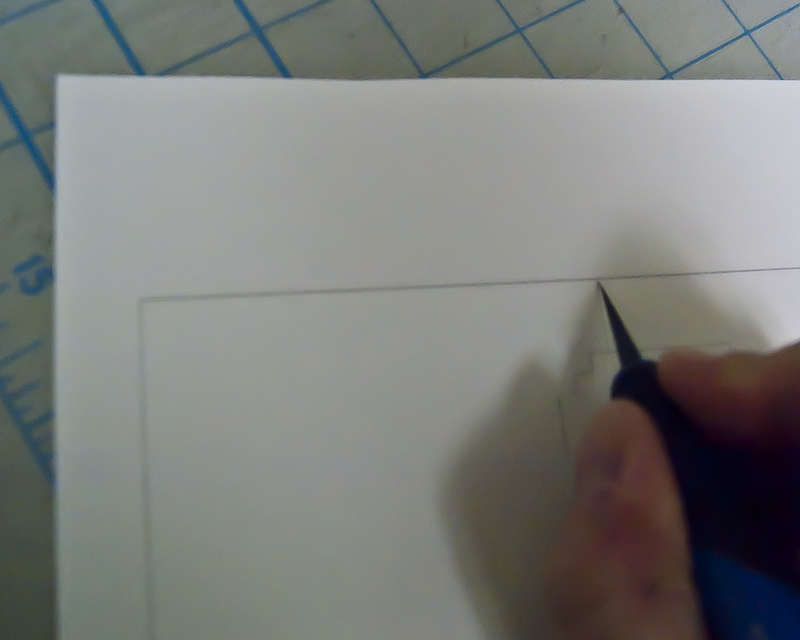 The envelope simply needs to be cut around the outlines – you can use you X-acto like I did, or cut it out with scissors – and then folded along the light dotted lines. 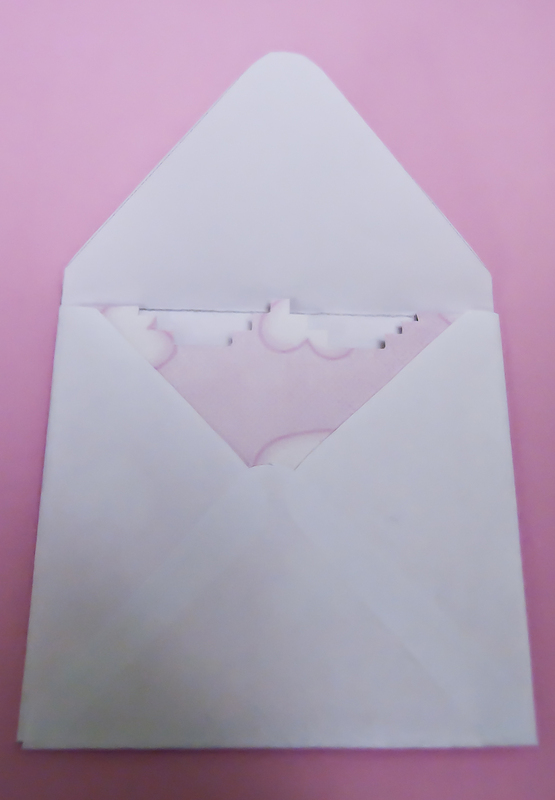 You will run a line of glue around the edge of the bottom fold of the envelope and press it into place. That’s it!